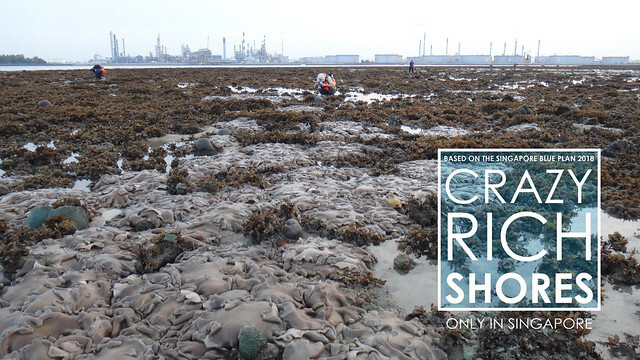 Next to Singapore's only landfill, Pulau Semakau and nearby patch reefs are teeming with life! 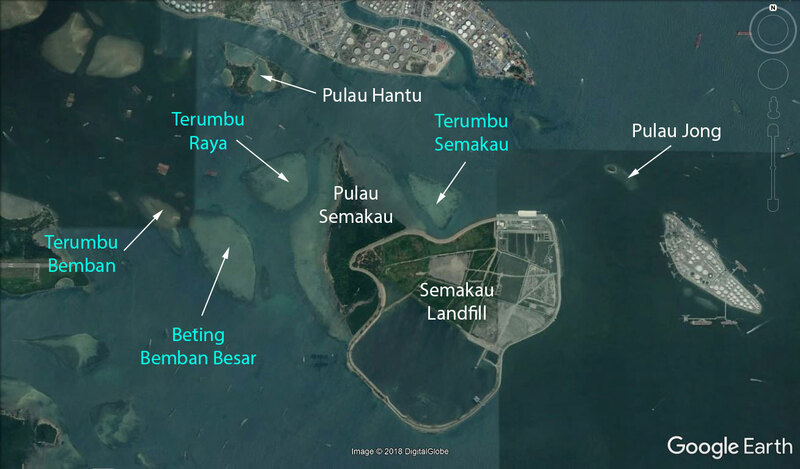 the Semakau Landfill and Pulau Jong. 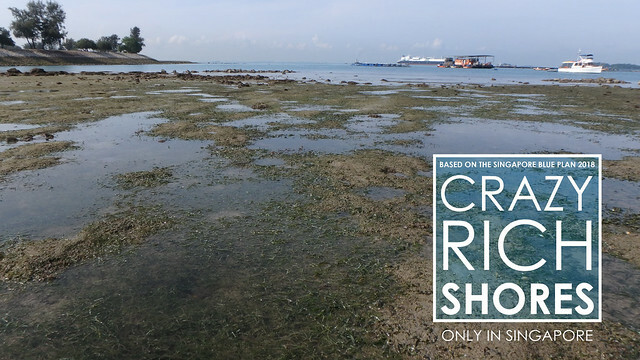 These shores have been recommended by the Singapore Blue Plan 2018 for Immediate Conservation Priority. Myth 1: Just as Changi Airport and Changi Beach are not the same even though they are near one another and share a name, Pulau Semakau is NOT the same as the Semakau Landfill. 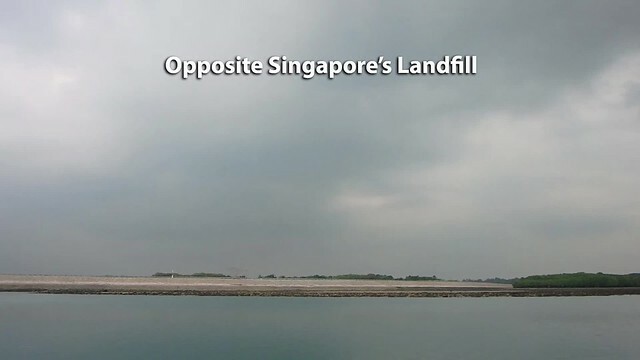 The Landfill was created by destroying all of Pulau Saking, and about half of the original Pulau Semakau by building a very long seawall. 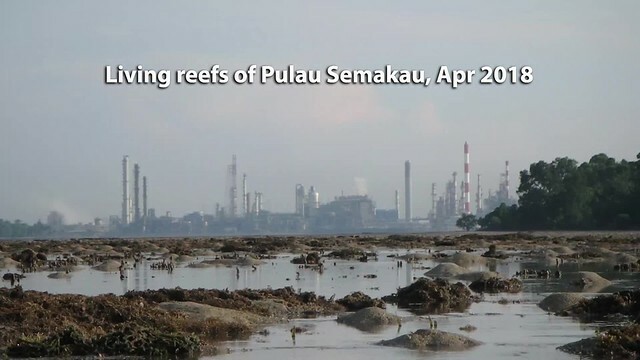 Fortunately, the landfill was constructed and is managed in such a way that the original mangroves, seagrass meadows and reefs on Pulau Semakau were allowed to remain and continue to thrive. Myth 2: It is NOT true that the construction of the Landfill created the marine life found on Pulau Semakau. The marine life was there long before the Landfill was built. 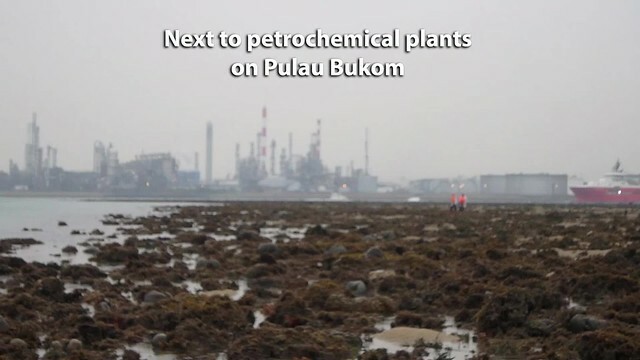 Here's a glimpse of the rich marine life found on the northern tip of Pulau Semakau near the petrochemical plants on Pulau Bukom. The original mangroves of Pulau Semakau are still lush. And during the construction of the landfill, large tracts of mangroves were also re-planted. All kinds of wildlife have made a home in these mangroves, including otters! There are also lush seagrass meadows on Pulau Semakau. Here's a view of those growing in the Southern end of Pulau Semakau. On the left, the seawall of the Landfill. On the right, a large industrial fish farm. 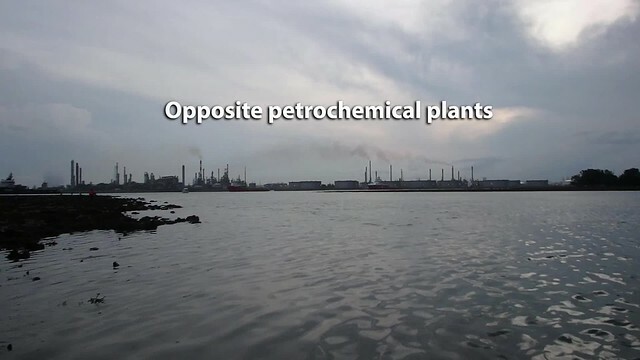 A look at Pulau Semakau's Eastern shore next to the landfill. A glimpse at Terumbu Semakau, a patch reef next to the Landfill seawall. The living reefs of Terumbu Raya, a patch reef near Pulau Semakau. Pulau Semakau and nearby islands and submerged reefs have been recommended by the Singapore Blue Plan 2018 for Immediate Conservation Priority. The Blue Plan recommends the intertidal and subtidal marine areas of Pulau Semakau and adjacent Pulau Hantu, and Pulau Jong to be designated Marine Reserve. The Blue Plan highlights that Pulau Semakau and its associated patch reefs comprise many ecosystems: coral reefs, mangrove areas, intertidal sandflats, seagrass meadows, and coral reefs. The subtidal area of Pulau Jong is larger than the terrestrial area. Pulau Hantu is a popular dive site has seen increasing interest in the past decade due to biodiversity awareness. If protection is accorded to these three islands, zonation plans for use can be implemented to manage tourism and human impacts. DOWNLOAD the Plan, SUPPORT the Plan! More on the Singapore Blue Plan 2018 site. Intertidal surveys of Pulau Semakau, Terumbu Semakau and Terumbu Raya.